In this extensive tutorial, you will learn how to install an SSL Certificate on JBoss Server. Before the installation, you need to have all the SSL files on your device. For users who don’t have the primary SSL certificate and the private key, we’ve also included a quick guide on how to generate a CSR code on JBoss. As a bonus, in the latter parts of this article, we’ve added a few interesting tidbits about JBoss, as well as valuable info on where to buy the best SSL Certificate for your JBoss platform. Where to buy an SSL Certificate for JBoss? CSR or Certificate Signing Request is a small block of encoded text you must create and send to the Certificate Authority (CA). You will provide your website and company details in the CSR, and the CA will use them to validate your SSL request. Along with the CSR, you will also create your private key. The private key is an essential element of your SSL Certificate. You’ll need it later, during the installation process. Follow the instruction below to generate your private key and CSR code. Note: You need to specify a Privatekey alias. You will use it for CSR creation and certificate installation. Make sure you remember it. Note: If you have a Wildcard Certificate, add an asterisk in front of your domain. Your common name should look like this: *.yoursite.com. Enter the key password for your Alias. The command will then ask you for the private key password. Press Enter. Your keystore and private key passwords are identical. Make sure you don’t lose them. Open your CSR file (.csr) with any text editor such as Notepad, and copy-paste all its contents into your SSL certificate order page. Depending on the type of your cert, you may have to wait a few minutes (DV certs) or a couple of business days (EV and BV certs) for it to arrive in your email inbox. 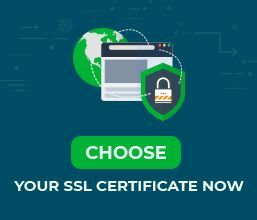 After you receive the SSL certificate files from your Certificate Authority, you can proceed with the SSL installation. For this demonstration, we’ll assume that you’re using a Tomcat or Jetty servlet. Do the same with your .ca-bundle file. Copy-paste the code into a single file and save it as .crt. Note: Please, enter the Alias and Keystore names that you’ve used during the CSR and Private Key generation. Copy the JSSE jars to $TOMCAT_HOME/lib directory. Uncomment the following part, and insert the location of your server key. Restart your JBoss server. Congratulations, now you know how to install an SSL Certificate on JBoss. After you complete the installation, you need to ensure it runs smoothly. Use one of these powerful SSL tools, to check your SSL Certificate for potential errors. The whole process won’t take more than a few minutes. With almost instant scans and extensive reports, you will get the whole picture of your SSL installation. You can choose the ideal SSL Certificate for your project and budget with the help of our handy SSL Wizard and Certificate Filter. 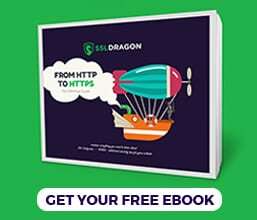 The first tool will determine which SSL Certificate is the best for your website, while the latter will sort and compare various certificates by price, validation, and features.